So, What’s New?? - Linutop OS & Linutop Kiosk For Digital Signage Or Secure Internet Access. 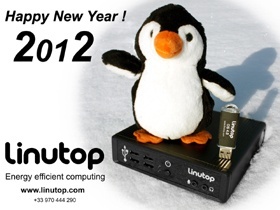 New Linutop OS 4.0 allows a Lamp Server installation in one click to host a web site. 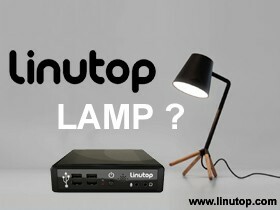 Linutop Lamp Server can be used as a mini web server, in order to keep personal data in-house. LAMP stands for Linux, Apache, MySQL and PHP. This open source software combination is designed to host a web site. - Energy efficient Sever (8W on Linutop2) ideal for 24/24, 7/7 uses, designed for minimal processing power. - Small, Silent (fanless) and robust. Linutop mini PCs are ideal for mini web LAMP servers; it allows customers to securely share information with minimal maintenance costs. With Linutop OS a LAMP server can even run on a PC from a USB key! Linutop OS Free Demo is available here! (compatible with PCs).